Make Kale Part of Your Day! Try to make kale part of every day. It's a super food, and it's full of nutrients and fiber. 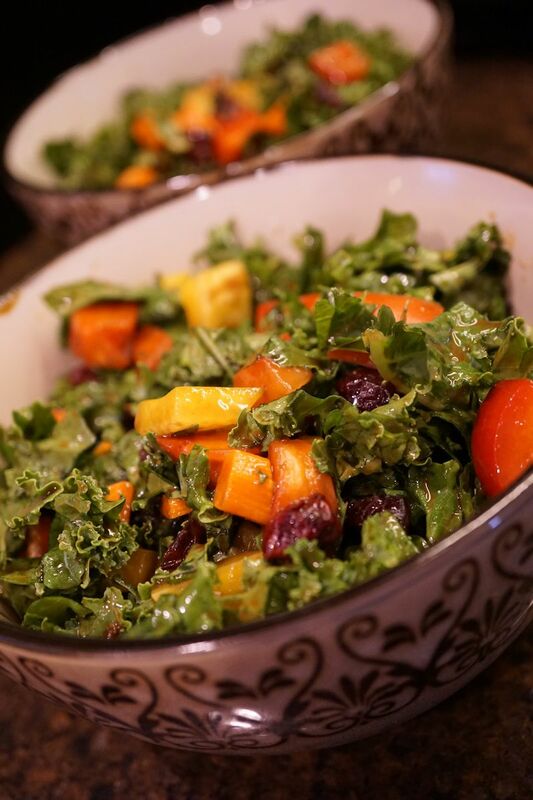 One cup of chopped kale has only 33 calories and zero fat. Plus, it has 1 gram of fiber and 2 grams of protein. It ranks 92 on the amino acid completeness score, is super highly rated for weight loss, and ranks 85 on the nutrient balance completeness score. It's loaded with Vitamin A and is a great source of calcium your body can use. Read more about kale here! When you chop it finely and add a tangy, oil-free dressing like "3-2-1" dressing, along with various chopped veggies (we like carrots and tri-colored bell peppers) and dried cranberries, chopped apples, pears, or mango...it's delicious! KALE YEAHHHH!